Health Services Laboratories offers an extensive, internationally recognised breadth of knowledge and expertise in research and development (R&D), from basic research through novel laboratory-developed assays to extensive clinical trial portfolios. R&D is driven by expert clinicians and healthcare scientists connected to a network of teaching hospitals, national healthcare bodies, academic institutions, industrial partners and charitable foundations. Our staff have leading roles in biobanking, research and teaching, both locally and overseas. We are proud that R&D plays an important role for HSL staff when working towards higher education qualifications, where R&D projects make up a component of the award. 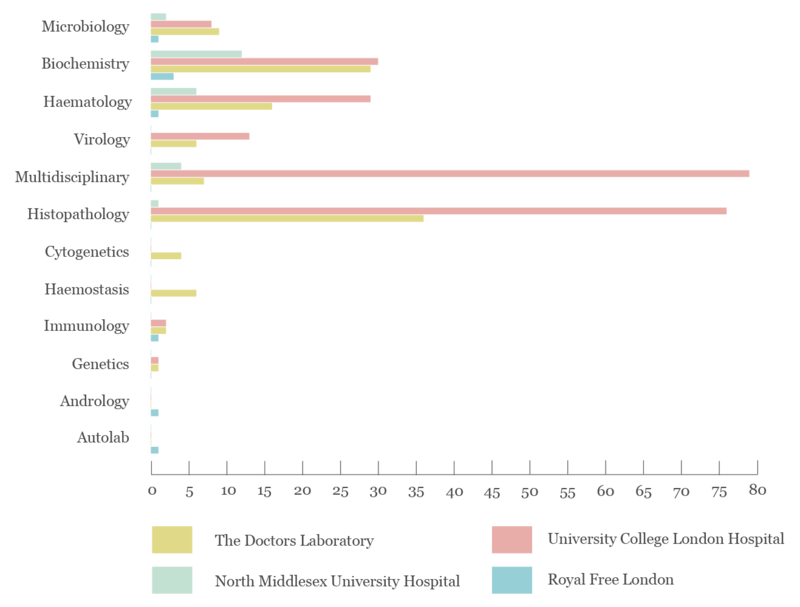 These R&D projects often contribute to developments in the clinical service. HSL has a firm commitment to maintaining and supporting existing and new R&D activities, providing a robust framework to successfully deliver next generation developments into clinical practice. Keeping HSL at the forefront of research and innovation. Explore articles and reports authored by our experts and colleagues.